I love this collection of steampunk images - we have a few different ballet and bellydancer images along with a really pretty angel available! The images are on black dominos and have a bead drop. 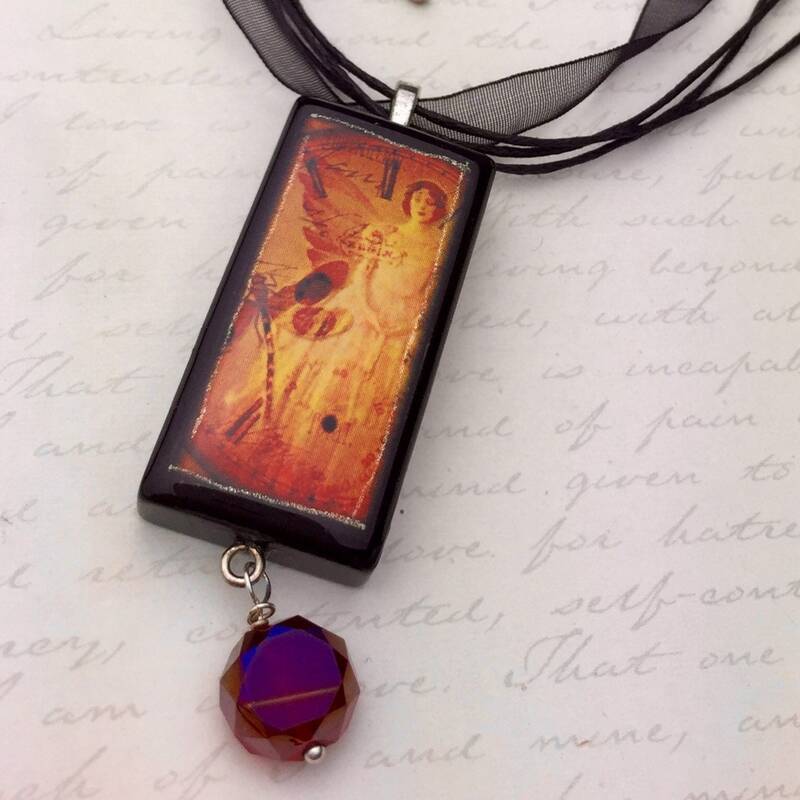 Pendant is triple sealed, glitterized and then covered with non-yellowing jewelry grade resin. Resin jewelry commonly has small bubbles and any present are part of the organic nature of the medium. Resin is water resistant but not waterproof and should not be worn while bathing or be soaked in water. 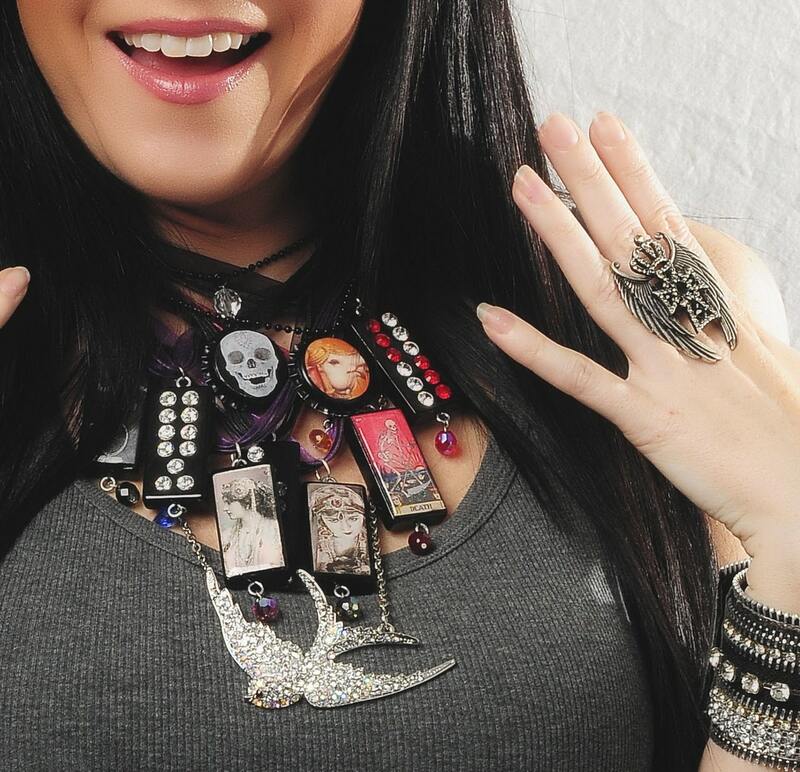 Model picture is to show scale when worn and is of a different pendants but the same size dominos. 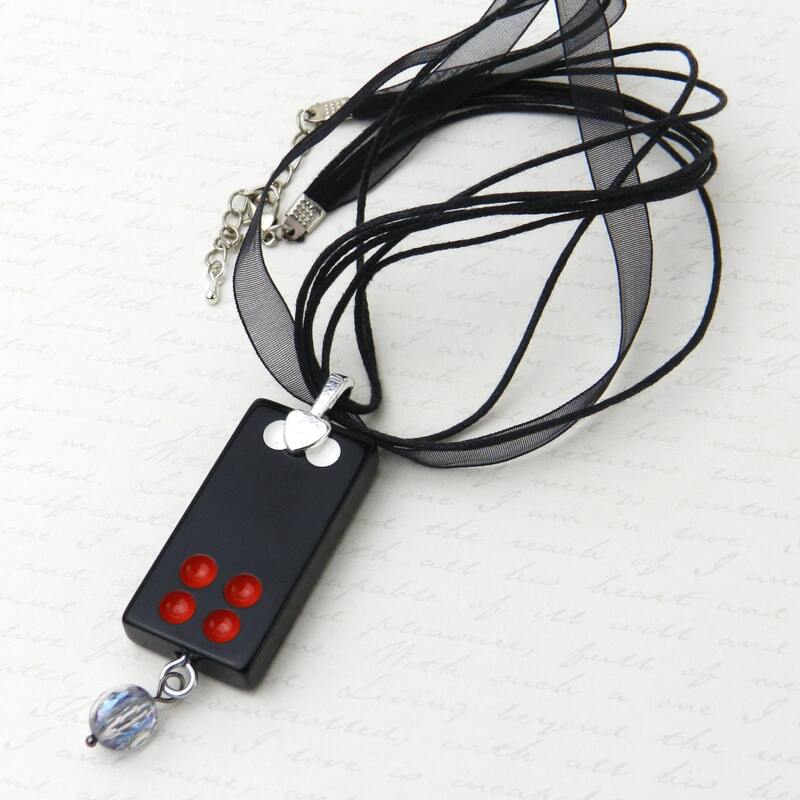 Your necklace will be placed in an organza gift bag and carefully packed for shipment. Please report any shipping damage or problems within 7 days of receipt and we'll get you all taken care of. We are deeply committed to providing our customers with the same service we give our family and friends and want you to think of us when you think of great service (and beautiful, unique jewelry, too, of course)!